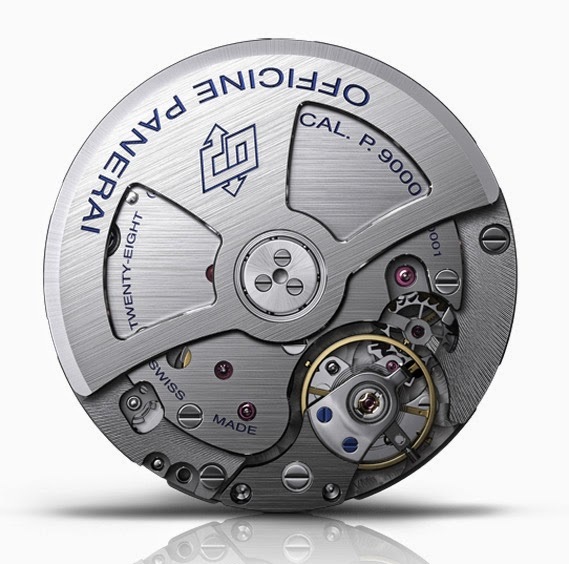 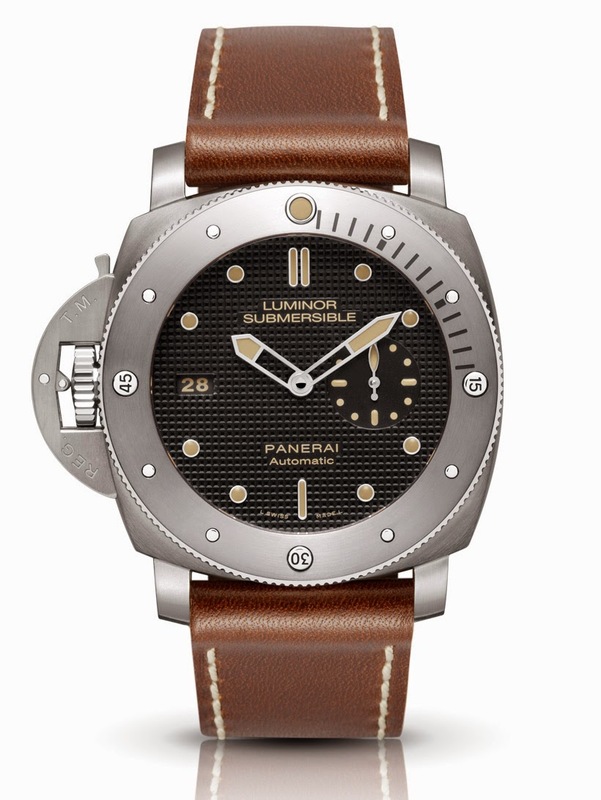 The new Panerai Luminor 1950 Submersible Left-handed Titanio PAM00569 is a Special Edition made in 1000 pieces with a 47 mm case in brushed titanium, a material resistant to corrosion by salt water as well as to acids, alkalies and industrial chemical products. 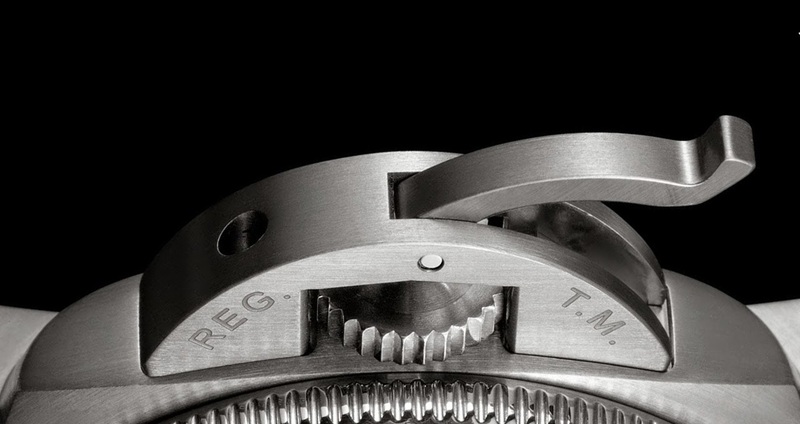 Strong like steel but much lighter, titanium is also very comfortable on the wrist. 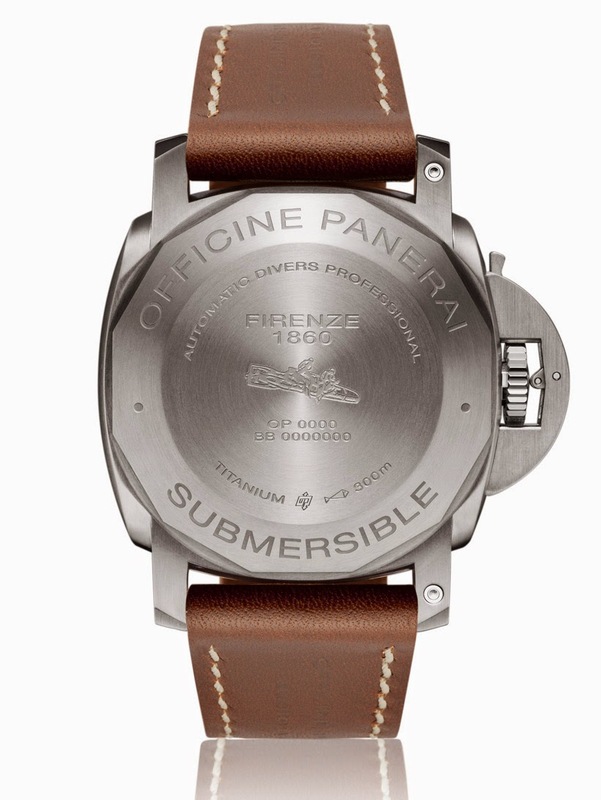 The PAM 569 features the winding crown and its trademarked protection device at 9 o'clock, on the left hand side of the case, making it the perfect choice for those who likes to wear the watch on the right wrist. 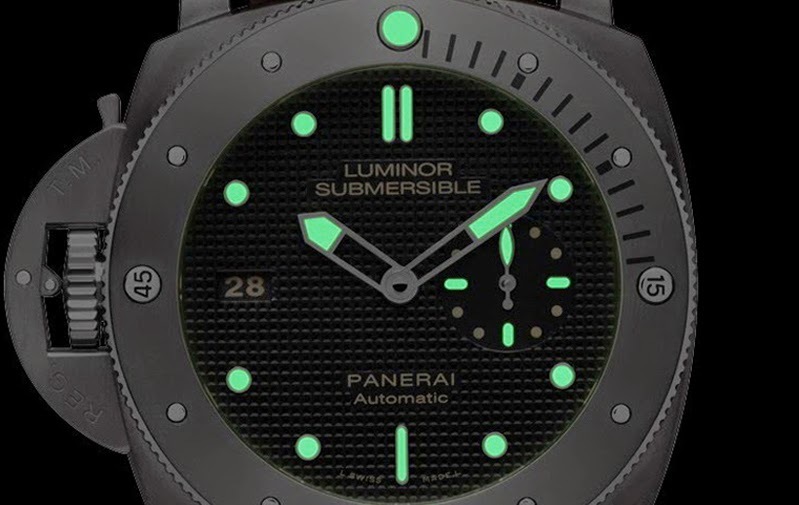 The dial is characterised by the unusual hobnail decoration (Clous de Paris) and the vintage coloured luminescent coating used for the hands, the circular and baton hour markers, and the lume dot on the rotating bezel at 12 o'clock. 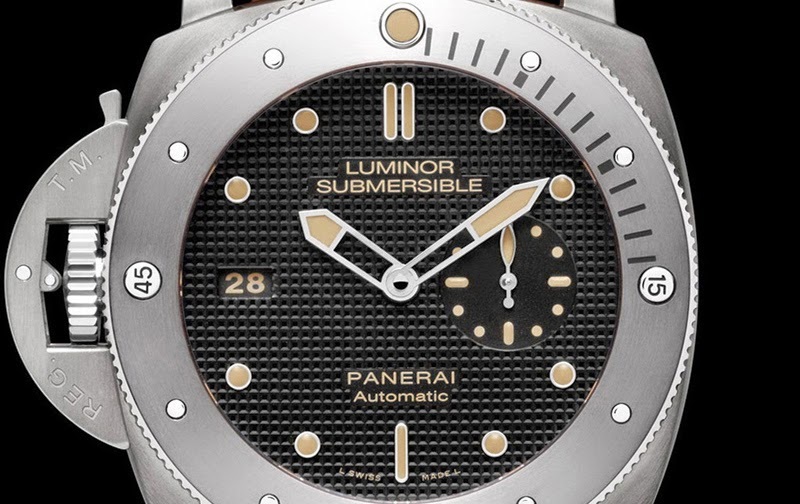 Water resistant to 300 metres / 1000 feet, this new Luminor Submersible 1950 model is powered by the automatic P.9000 manufacture calibre beating at 28,800 vibrations per hour and offering 3 days of power reserve thanks to two barrels. 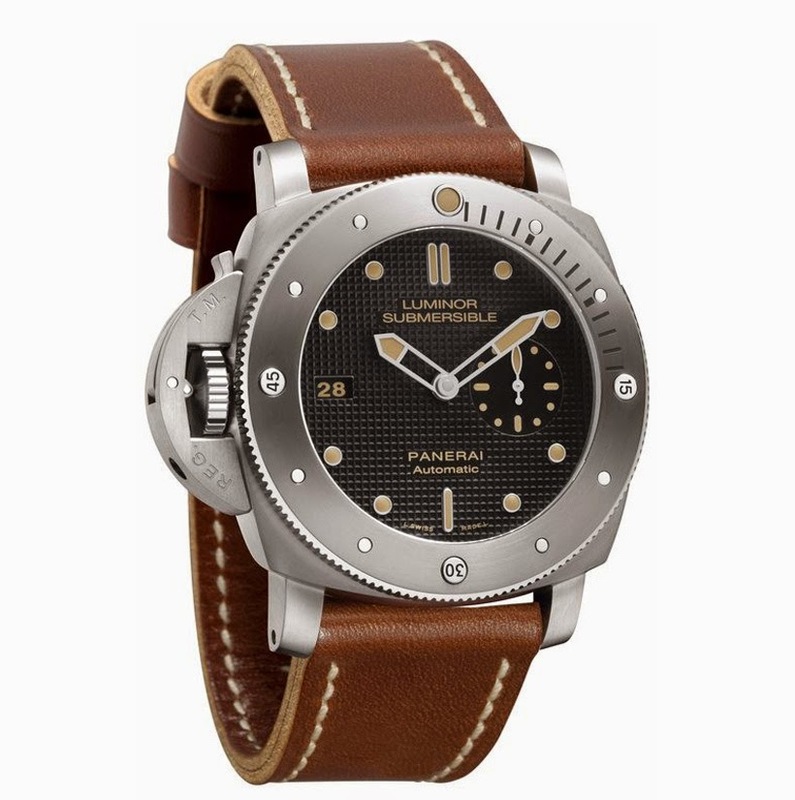 The Panerai Luminor Submersible 1950 Left-handed Titanio comes with a natural brown leather strap with ecru stitching as well as with a rubber replacement strap, a strap replacement tool and a steel screwdriver.